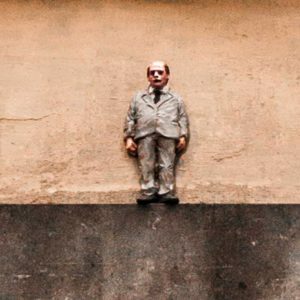 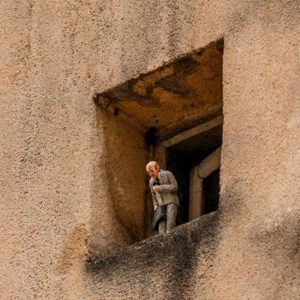 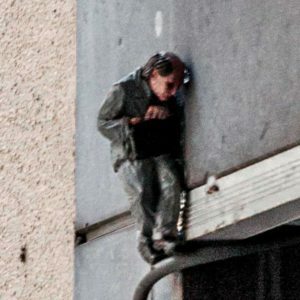 Isaac Cordal is a Spanish artist from Galicia, who studied at the Faculty of Fine Arts in Pontevedra and obtained a degree in sculpture. 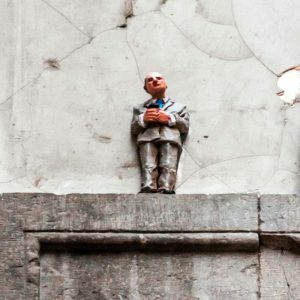 “Cement Eclipses” is one of his best known projects. 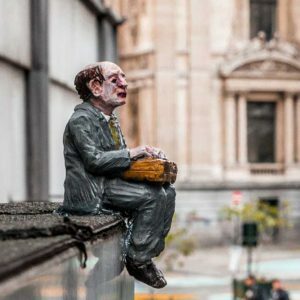 His sculptures can be found on the streets of cities such as London, Berlin, Paris, Barcelona, Milan, Bogotá and San Jose, as well as Brussels; you have probably walked past one of his works without realising. 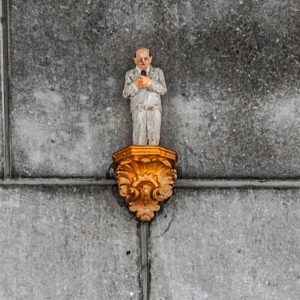 The statues are so small they are barely noticeable. 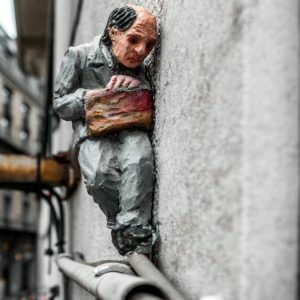 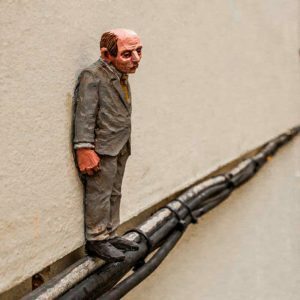 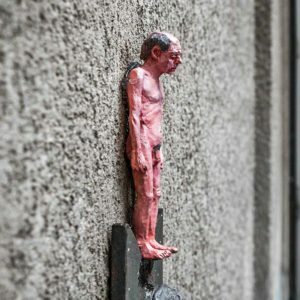 They are hidden on building facades, power lines, drainage pipes, parts of wall and other unexpected places that highlight the solitude and isolation of modern times. 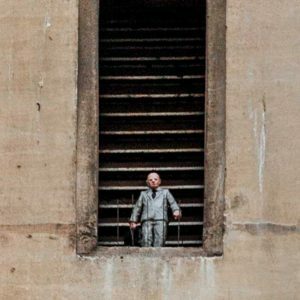 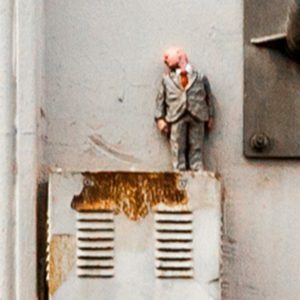 Like a director, Isaac Cordal places his characters in scenes that represent the routine of present-day society. 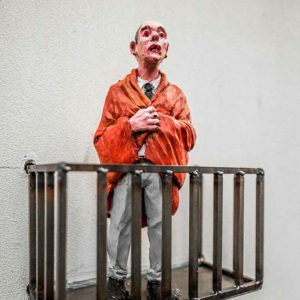 His work offers a critical reflection on our behaviour as a society and underlines the absurdity of our existence.